The Incredibles 2 is easily one of our most anticipated Disney flicks of 2018, and now we have an official trailer that is getting us stoked to see the movie this summer. What can we gather from the trailer? Well, there's a businessman who wants to bring superheros back, and Elastigirl is the one he has his eyes on. With her back into action, Mr. 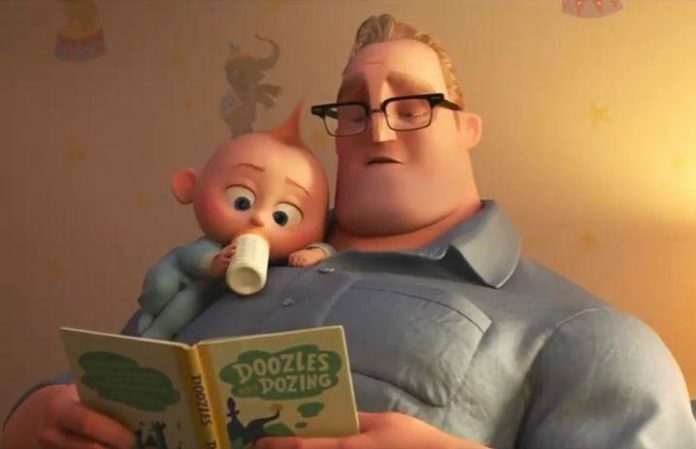 Incredible is looking after the three kids—oh, and trying to manage Jack-Jack’s developing powers. Disney released a teaser trailer for The Incredibles 2 back in November, featuring the adorable baby Jack-Jack. (And his special powers!) Plus, Disney gave us a proper introduction to the characters—old and new—that we have to look forward to, and safe to say: We're excited. To see Disney's favorite superheros in action, be sure to check out The Incredibles 2 when it comes out in theaters June 15.